The North Carolina Digital Heritage Center has added a new partner institution, the Old Jamestown School Association. Through them, we have added 17 yearbooks from Jamestown High School to DigitalNC, from their first yearbook in 1940 until 1959, when Jamestown High School was renamed Ragsdale High School and moved into a new building across town. The old Jamestown High School building now serves as the location of the Jamestown Public Library. 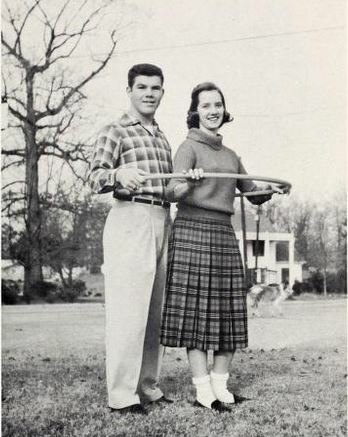 Visit the North Carolina Yearbooks collection on DigitalNC for more high school and college yearbooks from around the state.